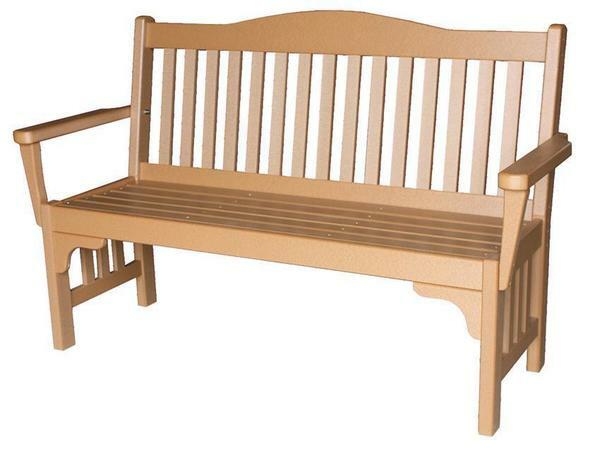 This lovely Amish Poly Mission 52" Park Bench features popular Mission styling, your choice of poly color, tough and sustainable poly construction and is perfect for a park, recreation center or for your very own backyard! Our wonderful Amish Poly Mission Park Bench is perfect for enjoying warm days outdoors with friends and family. Proudly made in America by authentic Amish craftspeople.